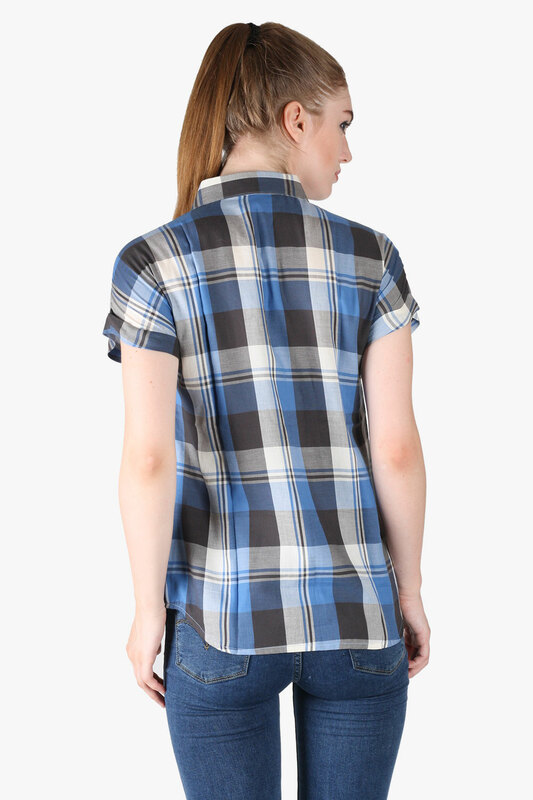 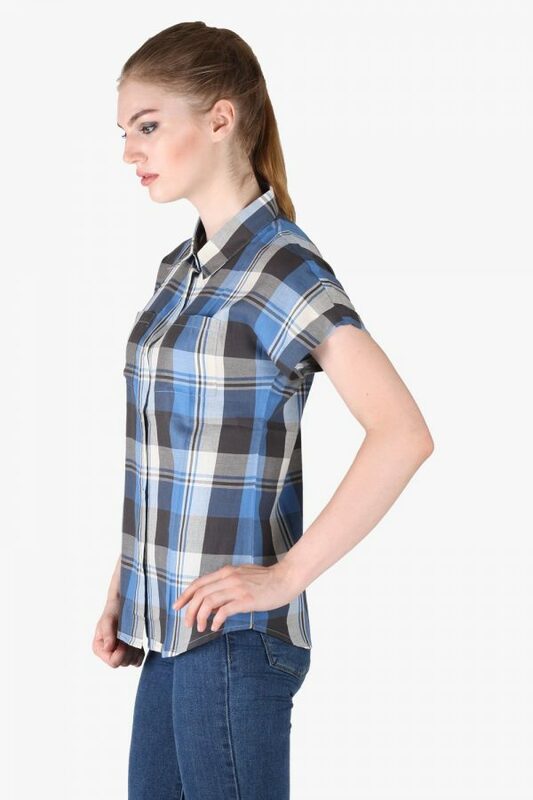 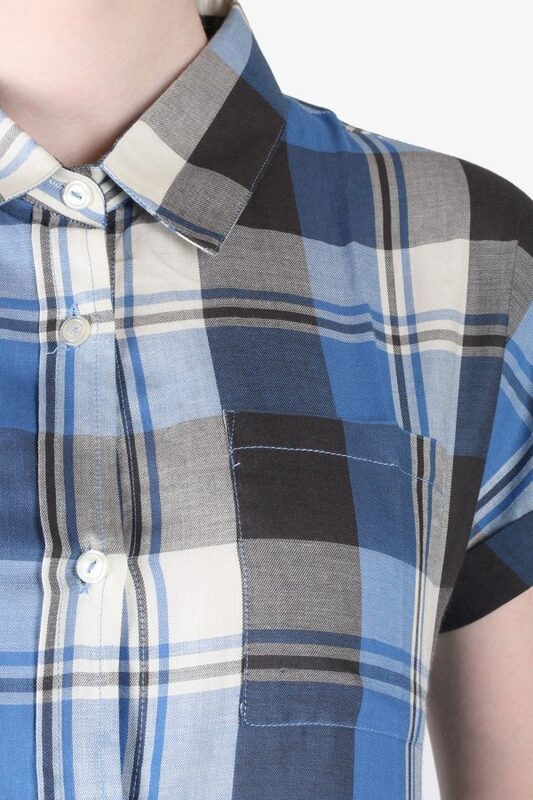 A trendy pick for casual outing is this blue check shirt for women by Owncarft . 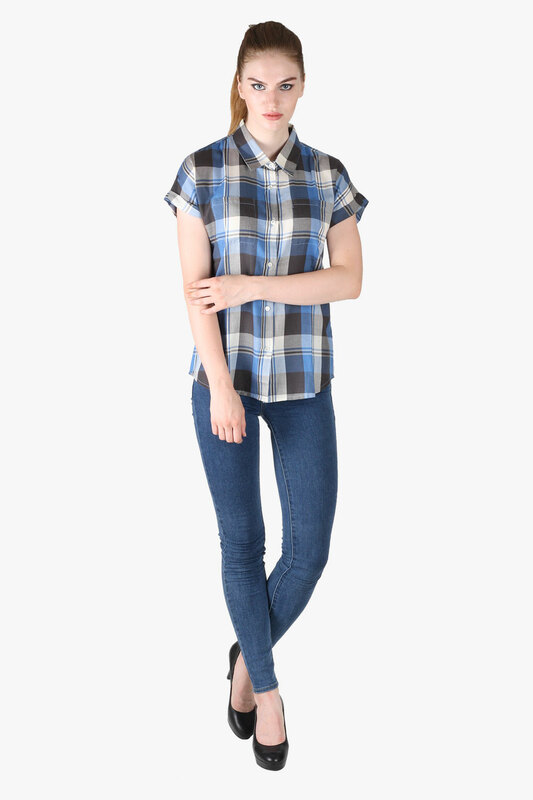 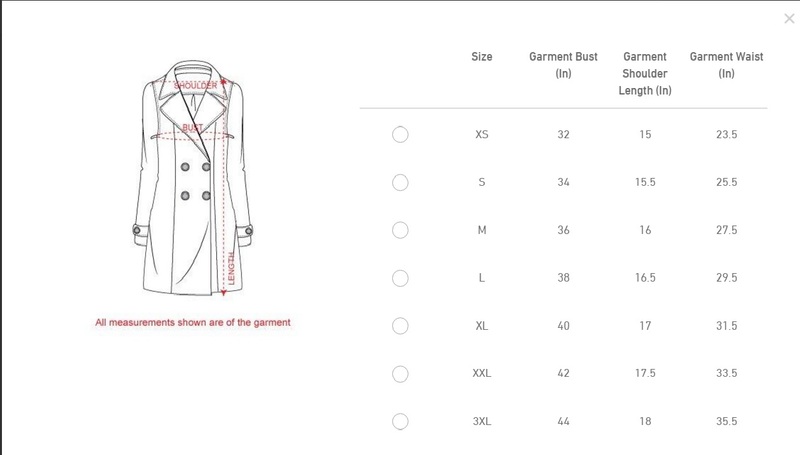 Fashioned from cotton blend, this regular-fit shirt will ensure a comfortable fit. 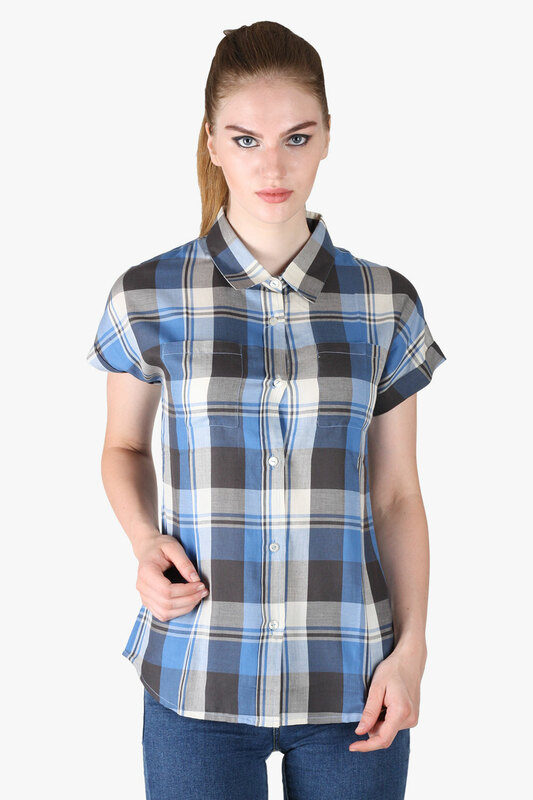 Simple yet trendy, this shirt will go well with jeans and sleek sneakers.